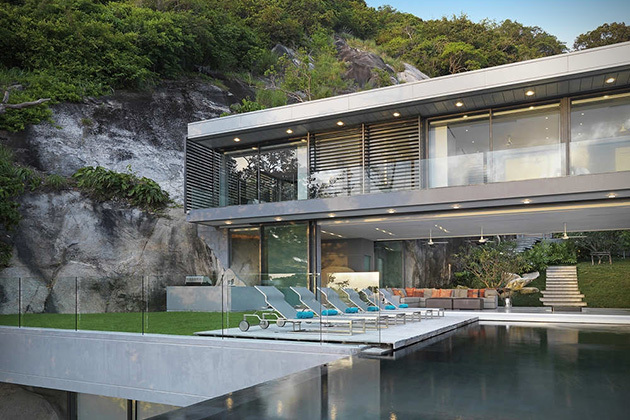 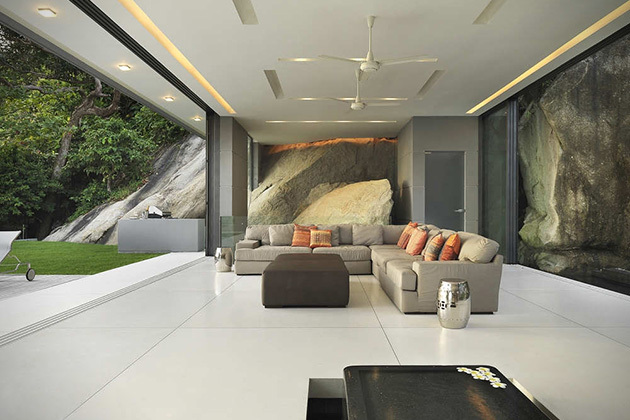 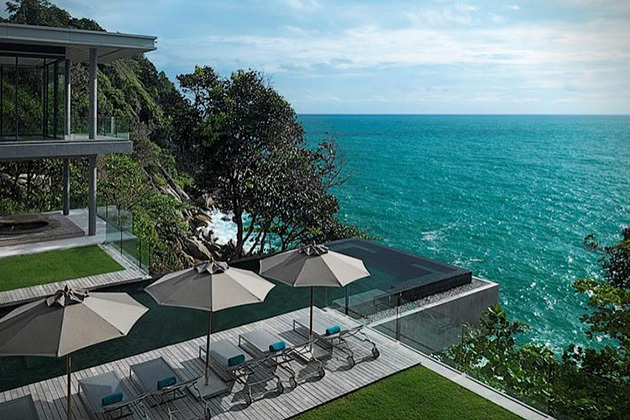 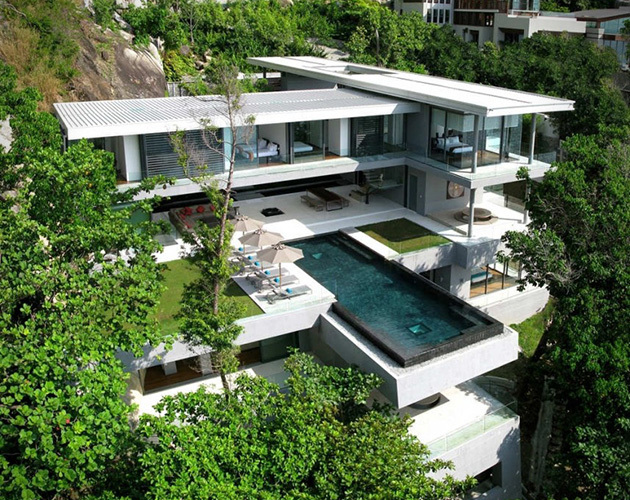 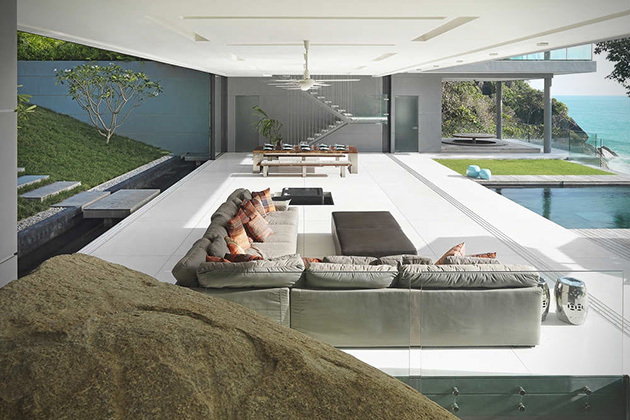 Designed by Original Vision, Villa Amanzi is somehow nestled amidst jagged rocks on a steep incline. 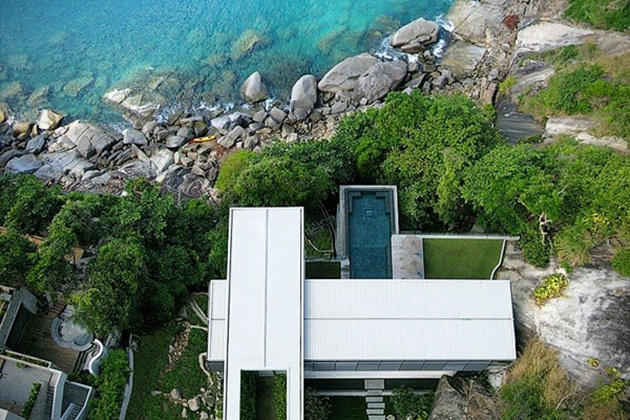 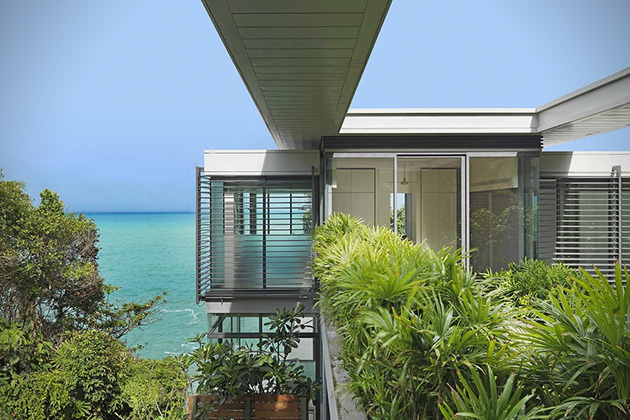 Sleek lines and wide open spaces dominate over the three levels of luxury, with three bedrooms (and their bathrooms) each having perfect ocean views. 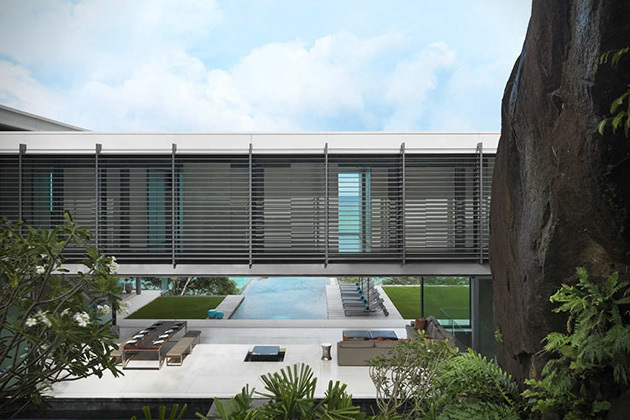 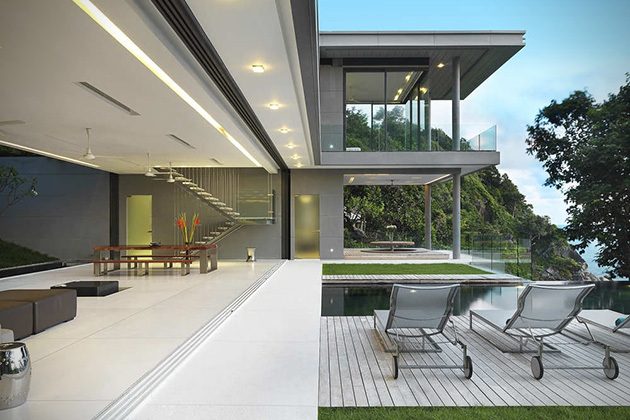 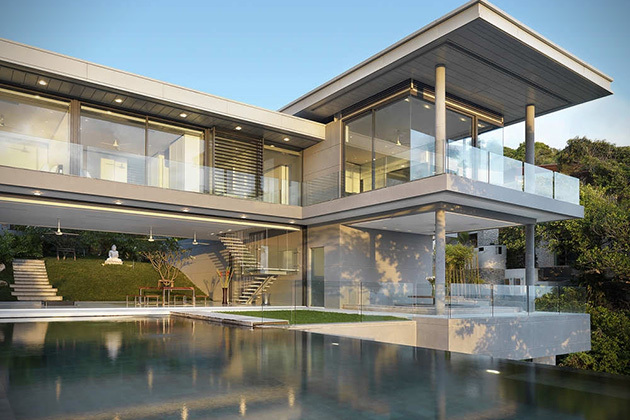 The interior offers 8,600 square feet of space, while the entire property stretches out over 2,644 square meters.